If you're taking a break from Black Friday shopping, you'll definitely want to check out the blog dedicated to eco-conscious and sustainable brides and get a few ideas for yourself. 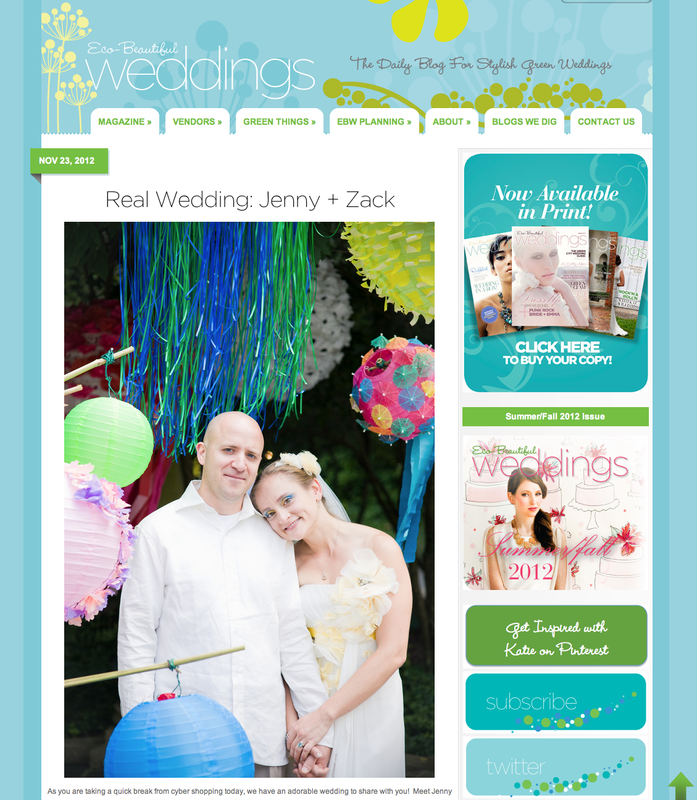 We're thrilled Katie Martin of Eco-Beautiful Weddings featured Zack and Jenny's wedding on her blog today! Not only are they a beautiful couple, they actually had less than one bag of trash gathered from their entire wedding! Hope you all had a wonderful Thanksgiving! May we continue to be just as grateful every day!